Home LISTEN! 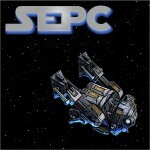 SWTOR Escape Pod Cast 87: Celebration and Cantina! SWTOR Escape Pod Cast 87: Celebration and Cantina! This week @AIESema, @MaxTheGrey and Astromech EPC-87 talk about the recent BioWare Cantina event in Anaheim, CA as well as the Star Wars Celebration convention and related Star Wars information and trailer released in the past week. We also cover game news for the week from SWTOR in general and from our guild, Alea Iacta Est.